Former Atlanta Mayor Shirley Franklin sat down with Rose Scott and reviewed city reports, press clippings and other documents from 10 years ago during Hurricane Katrina. 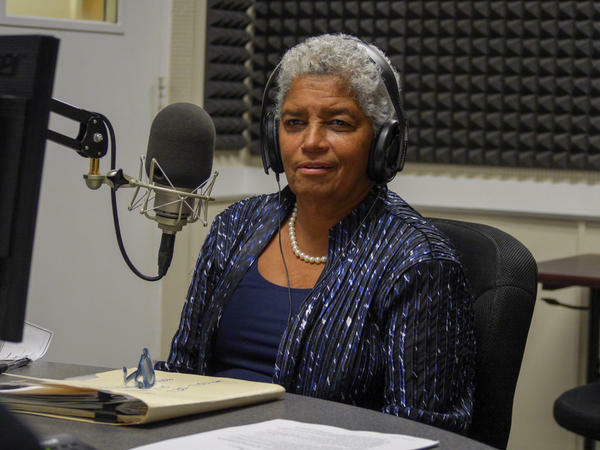 In part one of their conversation, Mayor Shirley Franklin recalls how the city began preparations to take in an unknown number of Hurricane Katrina evacuees. “We had some idea that we might be asked for assistance. I don’t think anyone knew where people would relocate to,” Franklin said. On Aug. 23, 2005, a tropical storm began to take form. It grew stronger and roared through the central Bahamas, it was a hurricane in the making. Spending three days swirling in the Gulf, Hurricane Katrina was poised to make history. Finally, by Aug. 29, Hurricane Katrina hit landfall. Now a category 5, it left devastation and death in its path, mostly in Mississippi and Louisiana. At the time, it wasn’t known that Hurricane Katrina would become one of the most deadly storms ever in the United States. Former Atlanta Mayor Shirley Franklin sat down with Rose Scott and reviewed city reports, press clippings and other documents from 10 years ago. In coordination with the U.S. Conference of Mayors, cities adopted Katrina ravished regions. “When you call the mayor of a small town and say what do you need, he says we’ve got a lot of things, but we don’t have is cash,” Franklin said. Franklin said Atlanta made cash contributions to several cities as well as sending fire trucks. This was a desperate time and Franklin said the Atlanta City Council gave her full discretion to spend money for the disaster. 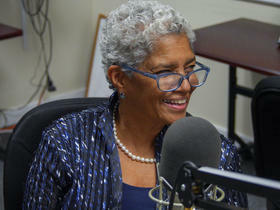 As for why Atlanta, Georgia, was so coordinated, Shirley Franklin says the Federal Emergency Management Agency, or FEMA, was “flat-footed” and “not being prepared” before and after Katrina. The city of Atlanta spent millions of dollars in resources to help Hurricane Katrina evacuees who came to Atlanta. The city partnered with nonprofit agencies, the business community, local churches, synagogues and mosques to meet the needs. According to the federal government, an estimated 100,000 evacuees came to Georgia. In part two of their conversation, Mayor Shirley Franklin recalls the many partnerships it took to meet the needs of the evacuees. She told Rose Scott immediate housing was a priority and coordinating with area nonprofits and other agencies was critical. In part two of their conversation, Mayor Franklin recalls the many partnerships it took to meet the needs of the evacuees. Immediate housing was a priority, said Franklin. But at the same time, many of the nonprofits and other agencies still had to help the normal day to day clientele. “Our job was to provide whatever gap financing or assistance they need to overcome obstacles because of the increase number of people,” she said. Franklin said despite taking a decade, some of the poorer neighborhoods in New Orleans are coming back, and she praises New Orleans officials and highlights the organization, Purpose Built Communities, for which Franklin is part of, as being instrumental in leading those efforts. Franklin says there were a number of lessons learned from Hurricane Katrina. Finally, “we learned that there are no geographical boundaries in this world,” said Franklin. “What happens in New Orleans or what happens in California has an impact on what happens in Atlanta and vice versa. So we have to be ever cognizant of our relationship to the rest of the world, not just to Cobb County and Clayton County, Fulton and DeKalb,” said Franklin.